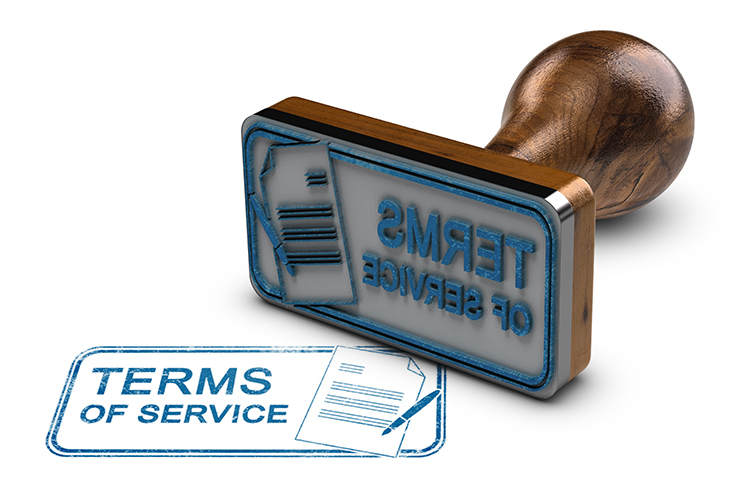 These Terms and Conditions May Change Absolute Control reserves the right to update or modify these Terms and Conditions at any time without prior notice. All products and services offered for sale by Absolute Control, LLC. (“Absolute”) are sold subject to the terms and conditions stated herein. These terms and conditions shall apply to the sale of the products and/or services described in the Absolute Control Quotation,Sales Order, Invoice, or other contract documentation to which these terms and conditions are attached or incorporated by reference. Except as expressly agreed by an authorized representative of Absolute Control in writing, no other terms and conditions, including any terms and conditions attached to, or contained within, Buyer’s request for quotation, acknowledgment, purchase order or other contract documentation shall apply. Buyer’s acceptance of the products or services delivered by Absolute Control shall constitute an affirmation by Buyer that the terms and conditions set forth herein govern the purchase and sale of the goods or services. THE TERMS OF THIS CONTRACT SHALL SUPERSEDE ANY ADDITIONAL, DIFFERENT OR CONFLICTING TERMS PROPOSED BY BUYER OR CONTAINED ON BUYER’S PURCHASE ORDER OR ANY DOCUMENT OR INSTRUMENT SUBMITTED BY BUYER. All prices are firm unless otherwise agreed to in writing. Absolute Control reserves the right to change the prices and specifications of its products at any time without notice. Any tax, duty, custom or other fee of any nature imposed upon this transaction by any federal, state or local governmental authority shall be paid by Buyer in addition to the price quoted or invoiced. In the event Absolute Control is required to prepay any such tax, Buyer will reimburse Absolute Control. Payment terms shall be net 30 days after shipment by Absolute Control. An interest charge equal to 1 1/2% per month (18% per year) will be added to invoices outstanding beyond 30 days after shipment. In addition Absolute Control reserves the right to require pre-paid payment terms from any Buyer whose account is overdue for a period of more than 60 days or who has an unsatisfactory credit or payment record. Absolute Control may also refuse to sell to any person until overdue accounts are paid in full. Absolute Control will make every effort to ship the products or provide the services hereunder in accordance with the requested delivery date, provided that Absolute Control accepts no liability for any losses or for general, special or consequential damages arising out of delays in delivery. All shipment costs shall be paid by Buyer, and if prepaid by Absolute Control, the amount thereof shall be reimbursed to Absolute Control. Title to the products shall remain with Absolute Control until the occurrence of the following events: a) when the point of origin of the shipment is within the country of destination, upon the shipment of the products from the Absolute Control facility; b) when the point of origin of the shipment is not within the country of destination, upon the arrival of the products at Buyer’s freight forwarder. The risk of loss or damage to the products shall be assumed by Buyer upon the occurrence of the following events: a) when the point of origin of the shipment is within the country of destination, upon the shipment of the products from the Absolute Control facility; b) when the point of origin of the shipment is not within the country of destination, upon the arrival of the products at Buyer’s freight forwarder. Buyer shall be responsible for inspecting all products shipped hereunder prior to acceptance, provided, that if, Buyer shall not have given Absolute Control written notice of rejection within 10 days following shipment to Buyer, the products shall be deemed to have been accepted by Buyer. The products shall be covered by the applicable Absolute Control standard written warranty. NO OTHER EXPRESS OR IMPLIED WARRANTY IS MADE WITH RESPECT TO THE PRODUCTS. ABSOLUTE CONTROL EXPRESSLY EXCLUDES THE IMPLIED WARRANTIES OF MERCHANTABILITY AND OF FITNESS FOR A PARTICULAR PURPOSE. Any model or sample furnished to the Buyer is merely illustrative of the general type and quality of goods and does not represent that the products will conform to the model or sample. Buyer’s remedies under Absolute Control’s warranty shall be limited solely to repair or replacement of the product or component thereof which failed to conform to Absolute Control’s warranty. ABSOLUTE’S warranty obligations under this Agreement shall terminate if (i) CUSTOMER fails to perform its obligations under this or any other Agreement between the parties, or (ii) CUSTOMER fails to pay any charges due ABSOLUTE. Absolute Control’s limited warranty covers only defects in material or workmanship for a period of one year from date of delivery. Absolute Controll will replace any defective or malfunctioning part at no charge, and customer will be responsible for all labor charges. Any problem caused by abuse, misuse or act of God are not covered. Also, consequential or incidental damages are not recoverable under this warranty. No products shipped under this Contract may be returned without the express prior written authorization of Absolute Control. All returns of products are subject to a restocking charge. No returns will be authorized after 60 days following shipment to Buyer.Technical Advice Absolute Control may, at Buyer’s request, furnish technical assistance, advice and information with respect to the products, if and to the extent that such advice, assistance and information is conveniently available. It is expressly agreed that there is no obligation to provide such information which is provided without charge at the Buyer’s risk, and which is provided subject to the disclaimers set forth in paragraph 7 above. No agent, employee or other representative has the right to modify or expand Absolute Control’ standard warranty applicable to the product(s) or to make any representations as to the product(s) other than those set forth in Absolute Control’ product literature and any such affirmation, representation or warranty, if made, should not be relied upon by Buyer and shall not form a part of this Contract. This Contract shall be governed by and construed in accordance with the laws (other than those relating to conflict of laws questions) of the State of Texas. Any and all disputes or controversies arising under, out of or in connection with this Contract or the sale or performance of the products or services shall be resolved by final and binding arbitration in Houston, Texas under the rules of the American Arbitration Association then obtaining. The arbitrators shall have no power to add to, subtract from or modify any of the terms or conditions of this Contract. Any award rendered in such arbitration may be enforced by either party in either the courts of the State of Texas or in the United States District Court for the Southern District of Texas, to whose jurisdiction for such purposes Absolute Control and Buyer each hereby irrevocably consent and submit. In no event shall Absolute Control (including its affiliates and subsidiaries) be liable for anticipated or lost profits or for special, punitive, indirect, incidental, or consequential damages. Absolute Control’s total liability on any claim of any kind for any loss or damage whatsoever arising out of or in connection with or resulting from this Contract or from the performance or breach thereof will be limited in an amount not exceed the Absolute Control invoice price allocable to the products or services or units thereof which gives rise to the claim. Buyer shall not assign its rights or its obligations under this Contract without the written consent of Absolute Control. Prior to Shipment In the event Buyer requests that an order for products or services which it has placed with Absolute Control be cancelled prior to shipment, and with which request Absolute Control agrees in writing, Buyer shall be liable to and pay to Absolute Control for all costs incurred by Absolute Control as a result of such cancellation, including but not limited to, cancellation costs to suppliers and unreimbursed advances on goods, if any, together with any specifically identifiable incidental and consequential expenses prior to the cancelation of the order. Unless otherwise agreed to in writing, Absolute Control reserves the right to make design changes which Absolute Control believes will improve its products. Absolute Control may also satisfy customer purchase orders by shipping 90-105% of ordered quantities for nonstandard products depending on actual yield from such nonstandard product runs. Absolute Control shall only charge Buyer for actual quantities shipped. Absolute Control’ performance shall be excused in the event of strikes, accidents, fires, unavailability of materials and all other causes beyond the control of Absolute Control. All tools, dies, and patterns produced by or at the request of Absolute Control, or otherwise utilized by Absolute Control in the production of any products sold to Buyer, shall remain the exclusive property of Absolute Control. Absolute Control reserves the right to advertise and/or sell any of the foregoing items and any of its products produced therewith, unless otherwise specifically agreed to in writing by an authorized representative of Absolute Control. The failure of Absolute Control to enforce at any time any of the provisions of this Contract, to exercise any election or option provided herein, or to require at any time performance by Buyer of any of the provisions herewith shall in no way be construed to be a waiver of any such provisions, or the right of Absolute Control thereafter to enforce each and every such provision. This Contract contains the complete and exclusive statement of the agreement between the parties in connection with the subject products and/or services and supersedes any previous understandings, communications, commitments, or agreements, oral or written. Buyer warrants that it has not offered or given and will not offer or give to any employee, agent or representative of Absolute Control any gratuity with a view toward influencing such person with respect to the terms, conditions or performance of this Contract or any contracts with Absolute Control. Absolute Control and Buyer are independent contractors; neither is an agent or employee of the other or has any authority to assume or create any obligation or liability of any kind on behalf of the other. Any provision of this Contract that is invalid or unenforceable under applicable laws with respect to a particular party or circumstance will be severed from this Contract with respect to such party or circumstance without invalidating the remainder of this Contract or the application of such provision to other persons or circumstances. The headings used in this Contract have no legal effect.